DELTA 630 ALL TERRAIN is characterized for being extremely easy to set up and work with. If we consider the heating plate and facer disconnecting system as an example; the positioning / removal of the pipes is made without obstacles, providing the operator more time for what really matters. Italian design, known for paying particular attention to details, gives DELTA 630 ALL TERRAIN many technical innovations that are very practical. 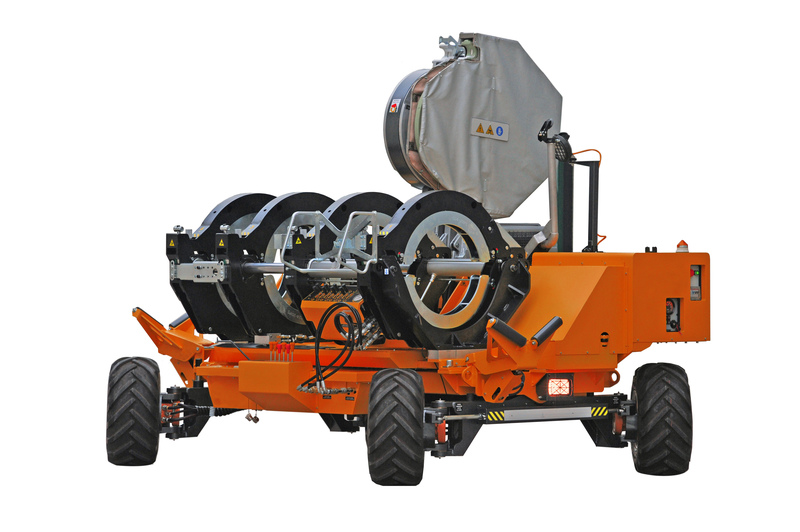 For example, the clamps hydraulic system are not only an aesthetical maneuver, but also serve as a protection against collisions while positioning the machine inside the trench. The low fuel consumption and soundproofing gear – protects the environment, your health while saves money. Welding standard: ISO 21307 High Pressure When applying the first one, the clamps cylinders work with a pressure range that is three times and a half higher than the ISO Low Pressure ones. This saves welding time by 60%, thus enhances productivity.